It is often said that the process is not the product... but I've found that it's difficult in practice to decouple the two. I enjoy working with the process and identifying inefficiencies, I'd say it's almost a passion of mine. The trap that people (including me) often fall into is trying to use the newest gadgets and most expensive tools to solve a problem. Sometimes being clever for the sake of being clever creates more problems than it solves. If you've seen my desk at work, you'll notice that it is deliberately devoid of useless clutter. When I started my latest gig, they provided me with a laptop and a cell phone, and asked if I wanted to order a monitor and keyboard and other random bric-a-brac to fill my clean empty desk with. I graciously declined, and that I would revisit the offer later on if need be. For some reason I mysteriously ended up with a stapler that is still unopened. My reasoning for this is that initially, on any project, I like to first work with the absolute simplest set of tools for a non-trivial amount of time. What this does is allow me to really examine the process(es) in place, and not overcomplicate my day with having to learn new systems, and without being bound to additional stuff. I find that this methodology is similar to suggestions and best practices during an agile transformation in software. 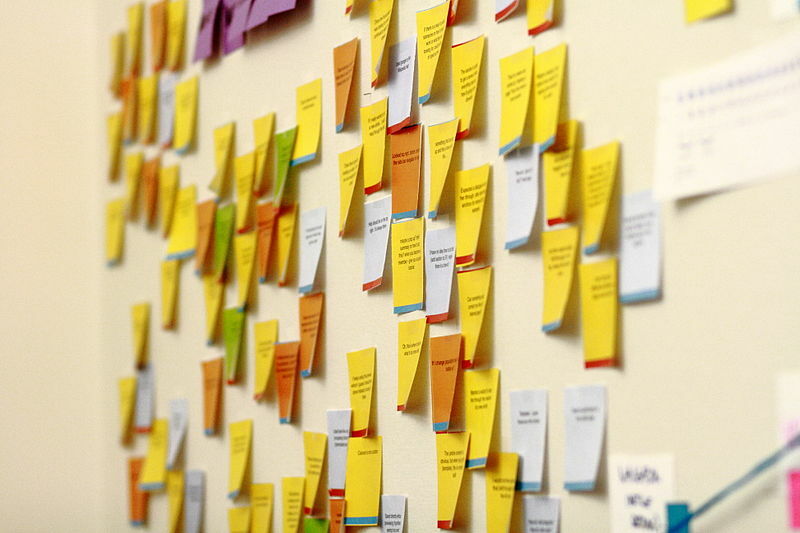 Instead of purchasing new project management software and tools right out of the gate, it is always recommended that teams start with sticky notes on a wall. What you soon find is that there is something powerful about having a tangible "story" physically stuck to the wall that you can feel and hold and move around. You don't need a user guide to tell you the process of moving a task from the backlog to in-progress, it is effortless. There is something powerful about having a tangible "story" physically stuck to the wall that you can feel and hold and move around. My goal in any process transformation, software or otherwise, is to find that equilibrium of simplicity and productivity. Every process implemented should be specific and forgettable. I want to find it difficult to remember how I accomplished the task prior to when the process existed. No matter how complex the task, I believe that there is a simple and elegant process to assist in completing it. It's quite liberating to see how much you can actually do with very limited tools and processes. Very often I find that the oldest tricks are the best ones, and the low fidelity, low tech solutions have the greatest benefit. To have a product that is simple, elegant and useful, the process to create this product must mirror these values.